Big Easy Gumbo from Packit Gourmet really caught my eye. 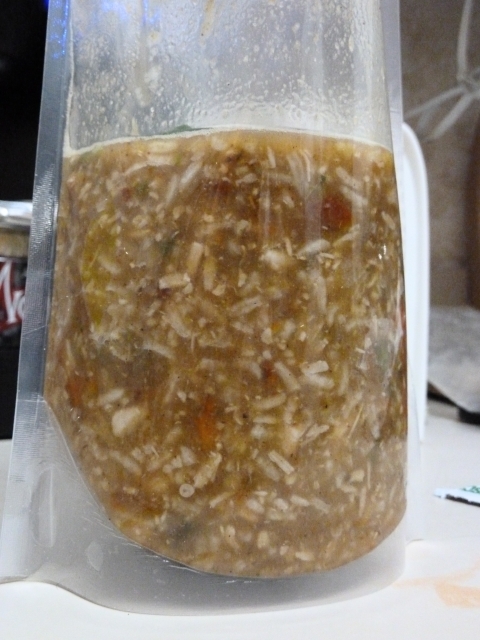 I wondered, though, just how close to homemade gumbo it would be. Eventually curiosity got the best of me and I decided to give it a try. 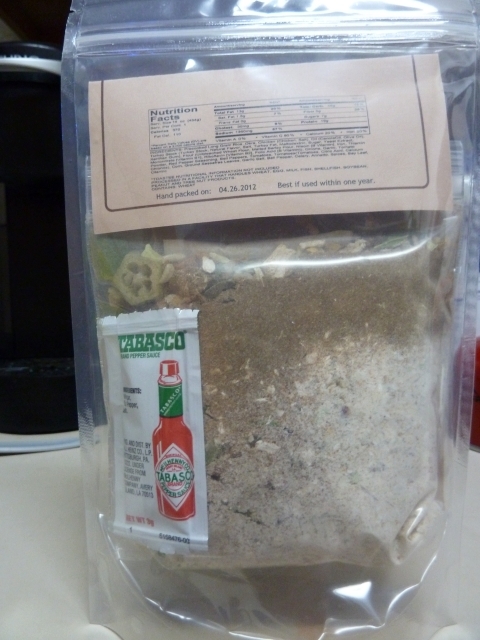 The package arrived in a sealed boil bag with all of the ingredients and even some Tabasco. Even in its dehydrated state I could sense my mouth starting to water. Opening the packaged revealed further details. 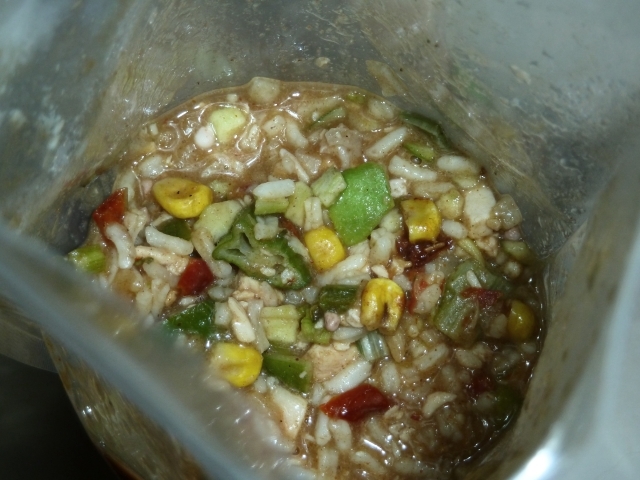 Gumbo wouldn’t be gumbo without the roux. 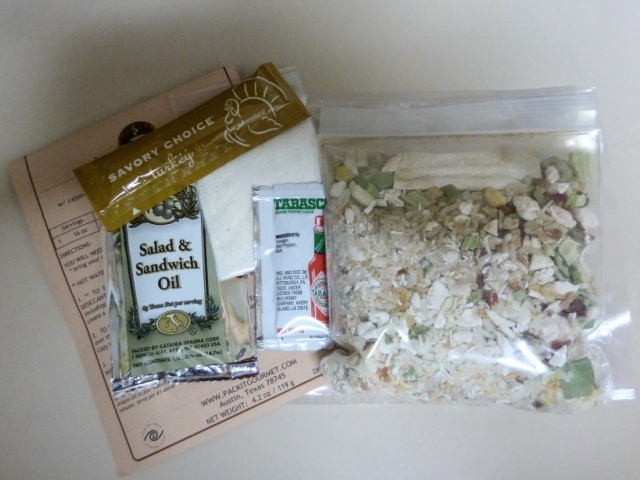 A small pouch of powder was provided along with a packet of olive oil. 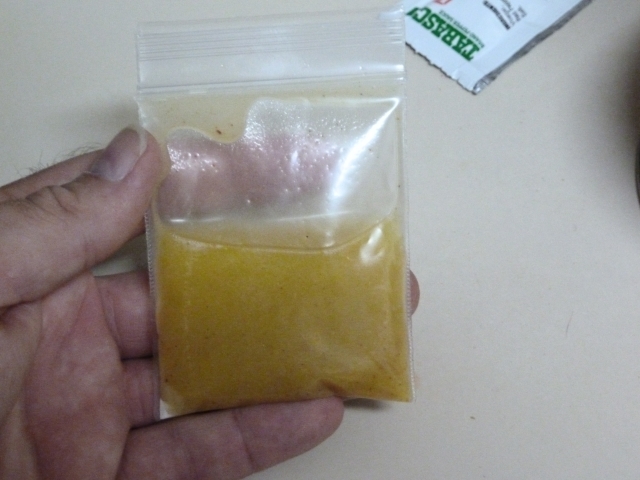 A packet of turkey broth concentrate is also included. The main ingredients are provided inside a small, inner bag which includes a clay dessicant to keep things fresh. Mix the olive oil with the roux powder until it’s thoroughly mixed. Pour the contents of the inner bag into the boil bag. Boil 2 cups of water and pour into bag. 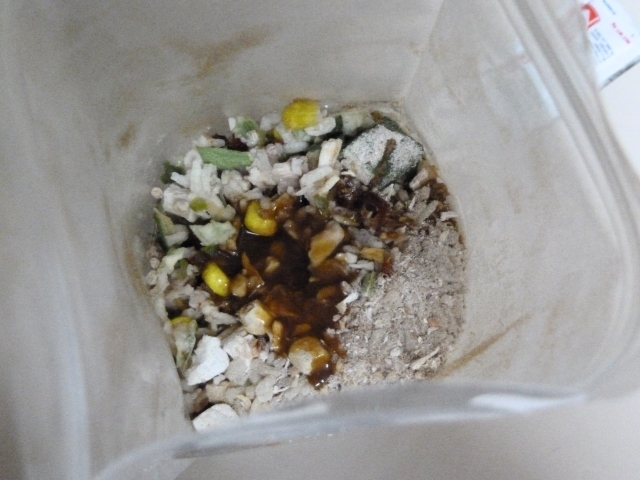 Mix the ingredients well and seal the bag. Let it steep (preferably in a cozy) for about 10 minutes. After steeping give the mix another good stirring. Now’s a good time to add the Tabasco if you prefer a little kick. I was very pleased with how the dish turned out. Everything was perfectly hydrated. There weren’t any crunchy or chewy pieces that hadn’t rehydrated well. This is a meal that not only tasted great but was also filling. It’s incredibly simple to make and won’t keep you waiting after a long day on the trail. There’s something special about a nice, hot meal as you finish your day and the Big Easy Gumbo fits the bill. I would certainly encourage you to give it a try yourself for a little bit of New Orleans in the backcountry. I can say that I enjoyed it enough that I have more on the way.